It seems no matter where you look, there are reasons to doubt the Pens. You can look at their last 10 games and see a 4-5-1 record that doesn’t exactly exude confidence. You can read through the injury report, which is long enough to make the novel War and Peace look like a pamphlet. 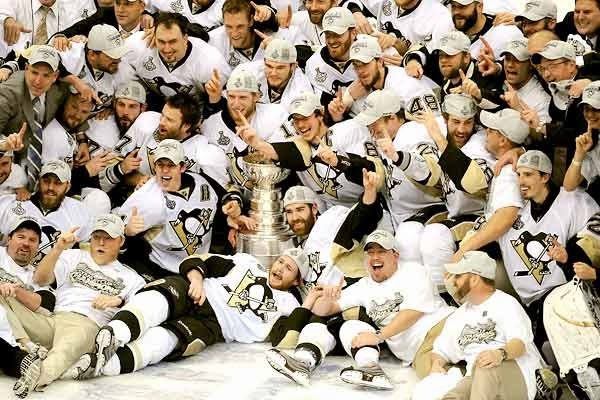 You can still remember last year’s playoff disaster. No, fans these days seem to be taking a cautious approach. Maybe it’s because we’re expecting the team to always make the playoffs. Perhaps it’s because we also expect to be let down once they get in the playoffs. Whatever the reason, I see more and more fans not getting their hopes up. The huge lead the Pens had built in the division has dwindled some, but it’s understandable with all of these injuries finally catching up with them. Getting players back for the Cup run will help this team more than any move they could have made at the trade deadline.